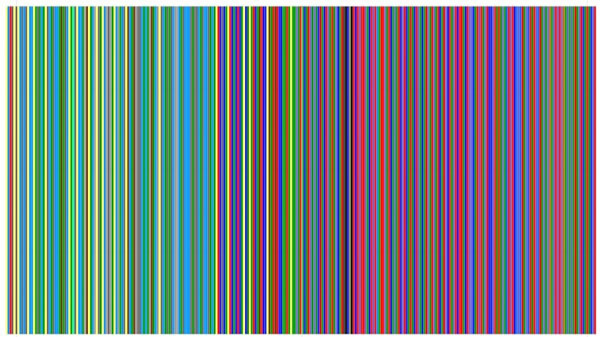 A few weeks ago, I special-ordered a canvas print of the eye-catching artwork created by Owen Phillips for an article about the many different sweaters that Mister Rogers wore throughout the modern run of the Neighborhood. 1. 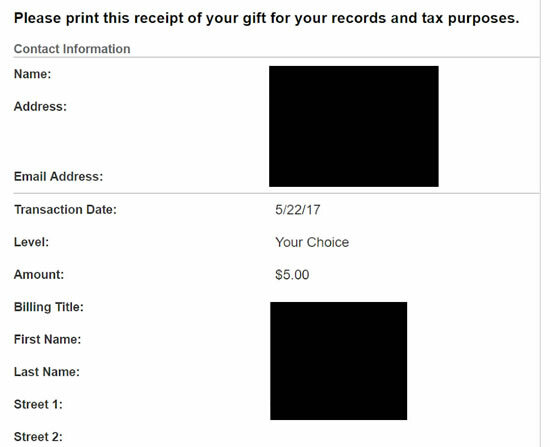 Make at least a one-time donation of minimum of $5 to the PBS member station of your choice. This can easily be done online HERE. 2. Send the receipt from your donation to Owen at owenlhjphillips@gmail.com. It should look something like this. 3. Owen will send you a hi-res image. 4. Upload the image to the photo printing site of your choice to create your own print. I used Sam's Club for the canvas I had made. It seems that I was gone during what turned out to be one of the busiest weeks in the Neighorhood so far in 2018! Tuesday we celebrated the 90th birthday of Fred Rogers. People across the nation wore sweaters and encouraged/performed acts of neighborly kindness -- something we should all remember to do every day. Well, maybe not the sweaters. Tuesday also marked the (unexpected) beginning of another Twitch marathon! Starting with a series of favorite episodes, the marathon has currently reached the point of moving through all Neighborhood episodes in sequential order. Check it out on Twitch! 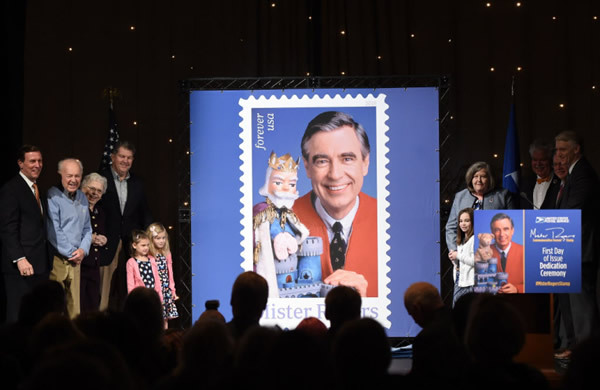 The long-awaited Mister Rogers postal stamp was release on Friday with a celebratory ceremony held at the WQED building in Pittsburgh. This official event was shared live on Facebook, if you missed it. As for me, it's been a wonderful week away with my family! 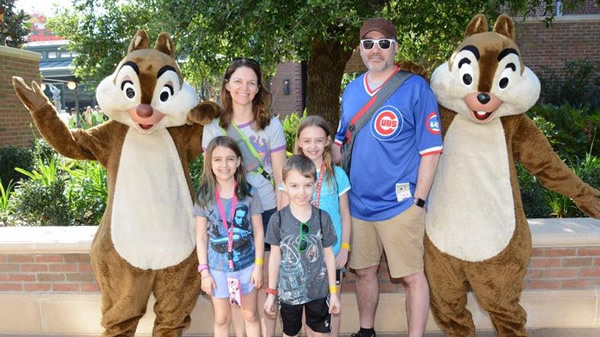 I unplugged as much as possible (something I'd encourage all of you to try from time to time) and enjoyed several days in the Orlando area at Walt Disney World with the rest of the week spent on the beach further south in Bradenton. We're (finally) home now -- safe and sound back to the Midwest where we were greeted with six inches of snow! Thanks to all of you faithful Neighborhood Archive readers for allowing me to step away for a few days! After my recent converastion with Randy and Bill on Pittsburgh's 102.5 WDVE Morning Show, I received an email with the title "Info on Black & White Panda." Interesting. What an obscure character. Opening the email, I saw the thumbnails for the attached images and immediately knew that I was in for a treat! [Bob] was a young dancer and performer that Don Brockett and Joe Negri "discovered" in high school performances at Pittsburgh's South Hills Catholic High School (now Seton-LaSalle HS). While in high school he starred in several shows alongside Lisa Negri, Joe's daughter. 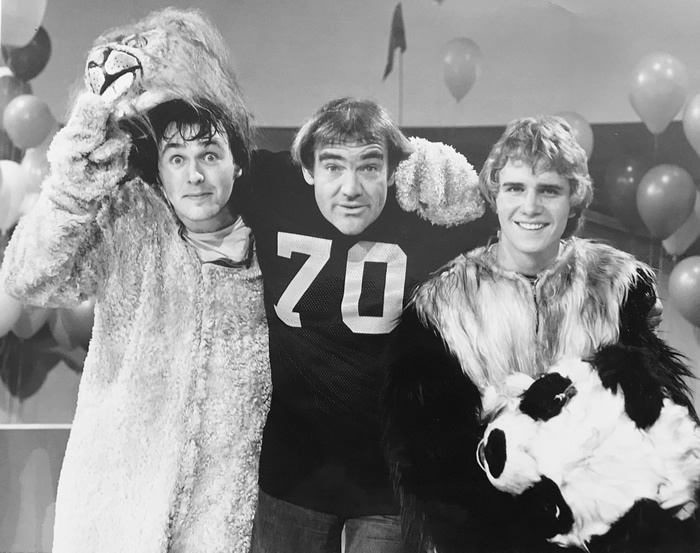 I was a few years younger than Bobby, but I remember his stories about how hot the Panda costume was, and that he was doing silly dance moves under hot lights over and over again -- but how much fun he was having doing it. Anyway, Bobby went on to perform in several Broadway plays, including "The Magic Show" with Doug Henning, and later as an original cast member in the Tony Award-Winning "La Cage aux Folles." His bio in the Magic Show Playbill even listed his appearance on Mister Rogers' Neighborhood among his theatrical credits! Unfortunately, Bobby passed away on Christmas Day in 1988 at the age of 33. 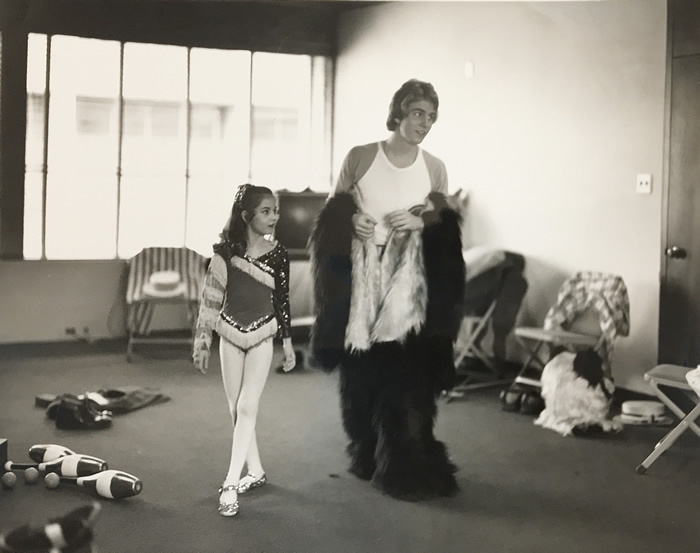 Even though he was so young when he died, he had lived a full and fulfilling life, touring the world as a dancer, singer and performer. He was a proud Pittsburgher and fan of Fred Rogers -- and a memorable alumnus of Mister Rogers' Neighborhood. In memory of his brother Bob. This past weekend, I had the pleasure of spending a few days in Pittsburgh -- one to explore the city and another to meet with several staff members from the Fred Rogers Company. 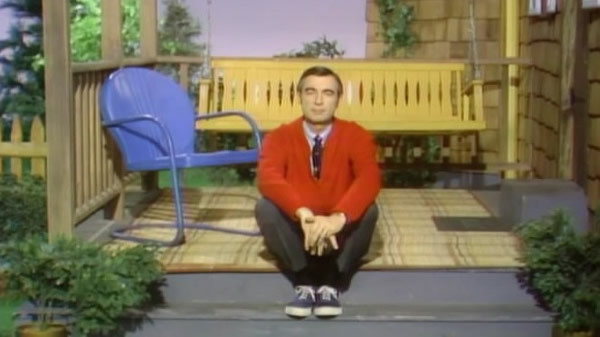 Here's a rundown of two incredible days in Mister Rogers' real neighborhood. On the first day, I met up with my friend Derek at 9:30 for a late breakfast. Those of you who know me personally know my love of The Homeless Gospel Choir. Check out his music sometime. Derek and I scarfed down our food and coffee at Piper's Pub while we solved many of the world's problems. At Derek's recommendation, I went with the fried chicken and sausage on a waffle. Although my 42-year-old arteries likely disagree, it was glorious. From there, we were disappointed to find that the Fred Rogers statue down by the river was boxed and the site was closed for construction. Instead, we decided to spend much of the day hitting up record stores, coffee shops, and the famous Mineo's Pizza. Near the end of the day, we found our way to the Heinz History Center to check out the Neighborhood exhibit -- a site worth seeing if you're ever in Pittsburgh. I won't pretend you're here to read about record stores and food, so here are several shots from the exhibit. The next day was spent meeting with the fine folks of the Fred Rogers Company. More on that after you spend the next hour gazing at photos of the Neighborhood model located under glass just inside the main door to the FRC offices. So let's get down to it. What kinds of things were discussed at the Fred Rogers Company that I can share here. It's terrific. I was able to see a portion of the special and I assure you that if your DVRs are not currently set to record on March 6th, you need to remedy this immediately! 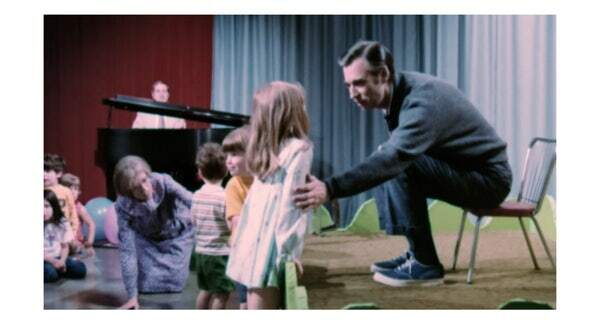 While the documentary that recently premiered at Sundance focused on the life and career of Fred Rogers, the PBS special is centered around the Neighborhood program itself. Very different and very well done! 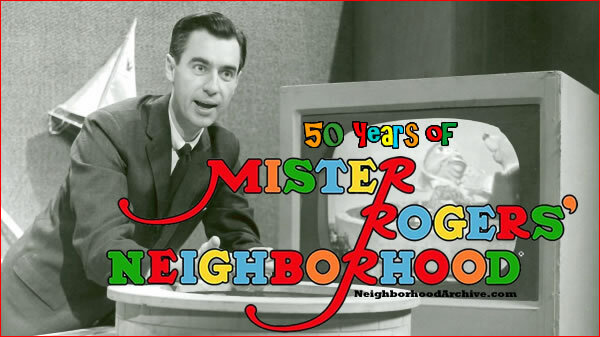 Were there episodes of the Neighborhood -- besides the Conflict series -- that were banned from broadcast for potentially controversial reasons? There were not. While it is widely believed that there are several chunks of episodes which were "banned" at some point over the years, I was assured that the only reason something like this may have happened would have been because there were simply more episodes than days to air them. No controversy. Other methods of viewing Neighborhood episodes? Not just the ones on Amazon but all of them. Not out of the question. Don't give up hope. What about physical DVD copies of the episodes? My recommendation to you would be that if you want DVDs of more than what is currently available, buy this box set of 30 episodes when it is released. If the demand for more is clear, we may see more. If not, we'll see the Neighborhood DVDs go the way of the Old School Sesame Street DVDs ... gone after just a few volumes. 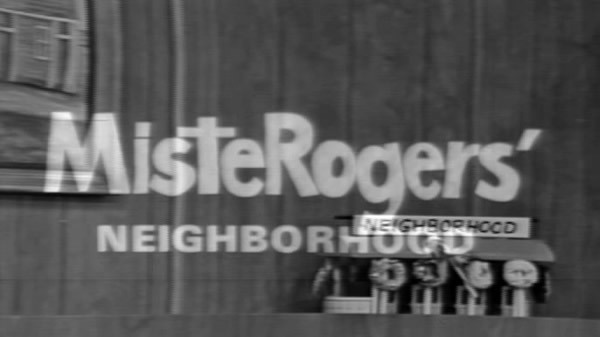 The biggest news of the day, from my side of things, comes in the form of an "official" endorsement of the Neighborhood Archive by the Fred Rogers Company. At this point, it's safe to share with you all that I have been working in partnership with the FRC for a few years now as the Archive site has continued to grow. 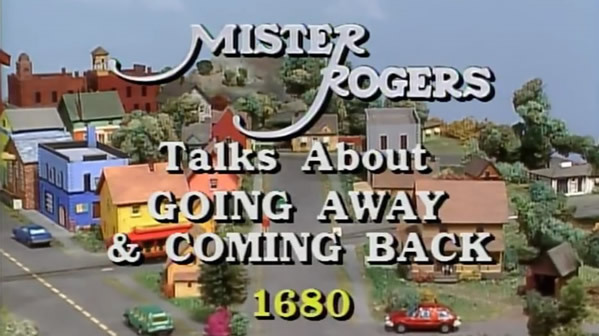 As they shared some of their plans for the near future with me, it was suggested that this cooperative effort has certainly evolved to the point of an "official" partnership with some exciting opportunities for us to collaborate in documentation of "all things Mister Rogers." When I started this site just over nine years ago, I had no idea it would ever be at the point it is today. I'm continually humbled by the traffic it receives and dedicated readership that it's gained. I look forward to this official partnership with the Fred Rogers Company and eagerly anticipate sharing as much as possible with all of you!